If you love chocolate, going on a holiday themed around your favourite treat will be a tempting experience. But remember that what really appeals to you may not be the ideal holiday for your nearest and dearest. As any golf widow or auction hunter’s partner can tell you, an obsession can be very boring for the partner. On that basis, it may be a good idea to plan holidays that are rewarding for your family members but still fulfil your passion for cocoa holidays. The history, myths and technology of chocolate production all began in Mexico, and the heart of the chocolate industry is Oaxaca, a state (but also, rather confusingly, a city within that state) in south east Mexico. The millennia old traditions of chocolate making are explored throughout the region. A great place to start from is the street of Calle Mina in Oaxaca city, as it has quite a few chocolate factories open to visitors. Particularly popular are the chocolate-blending trips, where huge vats of molten chocolate are ‘tested’ by the employees and the visitors. Not only will you gain a masterclass in chocolate blending, but there's the chance to try some very good chocolate in its most liquid form! If you are all gourmets, then there are several cookery schools that encourage visitors to take a half day class in Mexican cooking. You’ll be using chocolate, of course, when you learn how to make a mole (a rich savoury sauce that contains chillies and chocolate) and a hot drink with chocolate and spices. This can be a great way to get a chocolate sceptic to discover just how valuable chocolate can be in great cuisine, as well as being fantastic fun and giving you the chance to eat the food you’ve prepared. If the family are adventure buffs, Oaxaca offers good beach terrain, as well as some challenging mountain climbs further inland. There’s a range of ethnic groups, giving 16 distinct cultural experiences in this vast region, and for archaeology fans, the ruins of the Zapotec Monte Alban are well worth a visit. Many countries vie to be the home of chocolate in Europe, and Switzerland and France can both lay strong claim to the title. But for many, Belgium has the edge. Belgium has a host of chocolate houses open to visitors. From the famous Godiva and Leonidas, in Brussels, to the less well known Corne Port Royal (Wavre) and Neuhaus (Brussels), these offer a chocolate pilgrim a great holiday. Wavre and Brussels are full of small artisan chocolatiers, hand-crafting their specialist treats, most of which are some variation of the traditional praline. 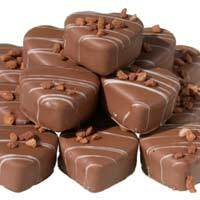 The praline was supposedly invented by a Belgian ambassador who wanted a form of sweet that would distract some rebellious townspeople from their rioting! There are also four different chocolate museums around the country that are dedicated to the art of chocolate. These can be found in Brussels, Bruges, Eupen and Halle. Belgium is a small and easily traversed country, so perhaps a road trip with a hire car is the best way to please the chocoholic and their family. Start your trip in Brussels, where you can enjoy a cosmopolitan city atmosphere. Next head to Bruges, a fantastic city almost fossilised in time when its thriving sea port became silted up in the late Middle Ages, leaving Gothic architecture and cobbled alleys. There’s a also great canal network to enjoy a boat trip, and some excellent museums of Flemish art. Zoom over to Antwerp, which is more about diamonds than chocolate, and you can watch the gems being cut. The city also boasts an internationally famous Zoo, the Rubens Museum, and a huge commercial waterfront which is well worth a tour. Finally, head up to the Ardennes, a region of mountains and forests, for some walking, cycling and climbing to work off all those chocolate calories!